Universal Studios just turned 28 this year and there has never been so many rides and attractions to choose from. When people think of Universal Studios, they think of movie rides like Jurassic Park and Transformers. While these are some of Universal’s more popular rides, there are a lot of other great roller coasters in the park as well. Here’s a review of some of my top rides at Universal and Islands of Adventure. Universal has some of the world’s best-known roller coasters, so if you are adventurous and love fast rides and sharp turns then the magic of Island of Adventure will be what you are looking for. Enjoy the magic of these different islands along with riding on some truly amazing rides. Spider man is one of the most popular superheros and at Island of adventure he has his own ride. The Amazing Adventures of Spider man is a moving motion ride with live action and a 3d film all in one. the ride takes you through the streets of new York city with spider man swinging from the tall buildings and he has to save the statue of liberty where some of the baddies of the sinister syndicate has stolen it and its peter parkers job to stop them and save everyone. We loved this ride and it didn’t make my wife feel sick once(she does not deal with motion very well) you will not be disappointed taking a ride with your friendly neighborhood superhero. The hulk coaster will take you from zero to 40 mph in seconds. This ride is one of the smoothest roller coaster i have ever been on. You go though a lot of dips and dives and the whole ride last about 3 minutes. You will definitely feel like you are incredible after this experience. Even if you don’t like fast roller coasters i highly recommend the incredible hulk coaster. 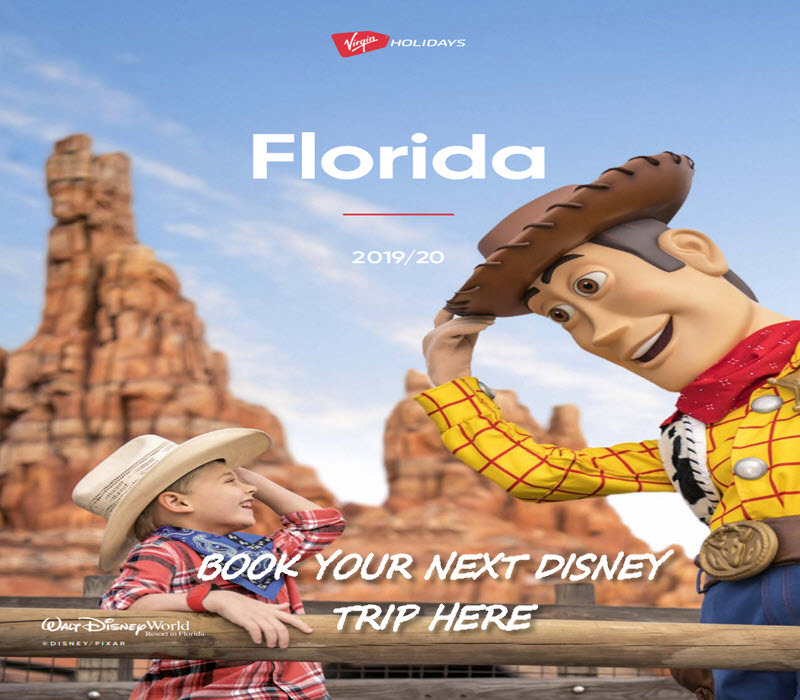 If you book with Virgin, like we do, you’ll get early entrance to universal so you can take advantage of getting on this ride with small queues. This ride is based on the film Jurassic park and takes you on a wild river raft adventure that you will never forget. At first, you will see all the harmless dinosaurs then it takes you to the dangerous facility where the dinosaurs are not very friendly and would love to eat you. Of course there is only one way out and that’s a steep 85-foot drop that comes out of nowhere. The mummy ride is a thrilling, extreme coaster from start to finish. Its very intense traveling both forward and backwards as you try to escape the mummys’ curse. Its definitely worth the wait times but just be warned its not for the fainthearted. Revenge of the mummy catapults you to speeds of 45 mph in virtual darkness so ride this if you dare! After this you will not be the same. This is the perfect area where you can discover about prehistoric times when dinosaurs rule the earth. Both kids and adults can enjoy the exhibits and displays that can be seen around this area. Some highlights you can see are testing your DNA if you would fit as a ruthless carnivorous dinosaur like the Velociraptor or the T-rex or some the tame ones like the Stegosaurus. There are even some nurseries where you can find some dinosaur eggs and even witness a baby velociraptor come to life. You can learn as well how dinosaurs see and hear the world. Test your knowledge about dinosaurs as you answer some questions in the quiz show game You Bet Jurassic. Of course marvel at some of the fossilized remains of your favorite dinosaurs such as the T-rex and many more. This prehistoric themed play area is perfect for kids who love Dinosaurs. Kids can walk down the Thunder Lizard Trail and be able to make the ground roar with its dinosaur sounds. They can use the water cannon in the paddock. Finally, they can explore the area through the dinosaur capture nets, whisk away through some variety themed slides and pass through suspension bridges. Also, nearby is the Pteranodon Flyers which every kid can enjoy flying through the air. The Hogwarts Express connects the Wizarding world of Harry Potter (Island of Adventure) to diagon alley (Universal Studios). It takes you on two different journeys, so make sure you catch the return train home you won’t want to miss it. when you go from Hogsmeade to London its definitely more appealing to young children but when you ride back from London to Hogsmeade you will see dementors board the train and even see death eaters fly over London. You must have a two park ticket to ride the Hogwarts Express because when you board the train you go to a completely different park. If you have a buggy don’t leave it outside before boarding, make sure you take it with you because you will properly need it, we definitely did. We loved The Train ride and its an outstanding experience you don’t want to miss. Harry Potter And The Forbidden Journey has the honor of receiving the worlds number one ride for five consecutive years. You will be immersed in an ultra realistic reality without the need for 3D glasses. When you feel the dragons heat and the dementors chill you will know that you are in the world of Harry Potter. Discover a new dimension with Harry and friends in this 360 degrees unforgettable adventure. Previous Universal Studios Orlando Planning a Fourth park? Personally I’d like to try out the Marvel themed rides as well as the Hogwarts Express. My wife and I are fans of both franchises and it would be exciting to experience the respective worlds from a new point of view. Also, I haven’t been to a theme park since third grade! Thanks for featuring this list. Yes Hogwarts express is amazing i highly recommend it. We hope you get to go back soon. Let us know if you do go back?